It’s that time of the week, when I am preparing to hold an open house for Sunday afternoon. This week, my Sunday 1 pm to 4 pm location is at a wonderful single family home in Hamilton, Virginia, at the Hamilton Ridge community. Built by Toll Brothers in 2005, a Langley model, the home has four bedrooms and three full baths, and beautiful mountain views. The sweeping double staircase overlooks the two story family room with floor to ceiling fireplace. The gourmet kitchen has cherry cabinets, hardwood floors, center island with prep sink, and breakfast nook. Formal living and dining rooms grace the front of the home, and a main level office/den gives you a work from home option. Upstairs, the master suite has a sitting room and spacious master bath with upgraded counters and tile. Behind the home, a beautiful deck wraps around the back of the house. This lovely home sits on a 3.6 acre lot, backing to woods, on a cul-de-sac. I’d love it if you would stop by and visit both me and this fantastic home! Directions from Leesburg and points east: Route 7 West to the Hamilton exit (Route 704). Turn right at the bottom of the ramp, then turn right again onto Route 7 business. Turn left at St. Paul Street, which turns into Sands Road, and bear left at the fork with Stone Eden Drive. Turn left onto Taylor Road, and left onto Midnight Sky to the back of the cul-de-sac. From points west: Route 7 to the Hamilton exit, turn right at the bottom of the ramp, and follow the same directions as above. I’ll be there from 1 to 4, look forward to seeing you! 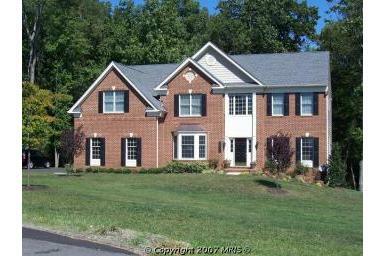 This beautiful home is being marketed by Jayne Stiley and Kenan Goeller, Weichert Realtors, Leesburg.